This page is dedicated to those Rotary Club of Kittery members and former members that have passed away. Kittery, Maine - Lezlye G. Shea, 85 of Kittery died peacefully with her family by her side on June 27, 2018. Born in Yonkers New York on May 9, 1933 she was a daughter of the late Susie (Shattuck) Canfield Ames, Lezlye graduated from Portsmouth High School with the class of 1951 and furthered her education at Fisher Junior College in Boston. She managed Shea's Oil with her former husband for fifteen years. She worked with John W. Durgin and Sons Inc. in 1979 and continued with successor companies retiring as business manager from James Verra and Associates Inc., in 2002 and remained on a part time basis till 2010. Active in her community Lezlye was a cornerstone member of the Second Christian Congregational UCC Church in Kittery since 1963 and was a former member of the North Church in Portsmouth. She was a Past Worthy Advisor of Portsmouth Assembly #2, Rainbow Girls, Past President of Rye Junior Woman's Club, a member of the Kittery Rotary Club for nineteen years, 1991 Kittery Rotarian of the Year, past bulletin editor for ten years; served as President 1997 to 1998 and secretary for eight years, and was a multiple Paul Harris Fellow. She was a Past Secretary and Chairman of the Board of the Seacoast Crime Stoppers, Past President and Secretary of Zeta Master Chapter of Beta Sigma Phi Sorority; Past Secretary of the Friends of the Rice Public Library. She enjoyed serving on planning committees for several PHS '51 class reunions, keeping classmates updated via email, and organizing luncheons for the women classmates in the area. Lezlye was diagnosed with stage four ovarian cancer in September of 2010. She refused to believe she only had a short time left and went to battle. She received 220 doses of chemotherapy as she waited for a cure. Cancer never defined nor defeated her, it did not take her from us. Cancer did not win this war, she left her way, deciding it was time to rest. Lezlye is survived by her sons, Michael L Shea ( Kelly) of Rochester, N.H., Harold B. Shea III and his partner Kris Kidd of York, daughters, Elizabeth M. Bowden of South Berwick, Maine, Nancy Shea of Loveland, Colo.; beloved grandchildren, Michele Langelier, Scott Bowden, Michael P. Shea, Cassandra Shea, William Shea, Ashley Komor, Madison Oatsvall, Erica and Brian Shea; great grandchildren, Brenden Goodwin, Olivia Langelier and Cody, Paige and Kali Bowden and a great-great granddaughter Kinsley Goodwin and many cherished and loving friends. SERVICES: A funeral will be celebrated on July 7, 2018 at 11am in her church, the Second Christian Congregational UCC Church 33 Government Street Kittery Maine 03904. Casual dress is encouraged. Online condolences may be left for her family by visiting www.jspelkeyfuneralhome.com. In lieu of flowers donations may be made in her memory to her church or to her Rotary Club at PO Box 678, Kittery, Maine 03904. Linda Marie (Bolduc) Reichler, 64, of Avon, beloved wife of Kevin W. Reichler, passed away Friday, August 26, 2016 following a courageous eight month battle with leukemia. Born in New Britain, daughter of the late Leo and Doris (Bourgoing) Bolduc, she was raised in Plainville, living in Maine and Florida for many years before moving to Avon 16 years ago. She received her Associates degree from the University of RI, her BA from UCONN where she also earned her DMD. She spent several years in private dental practice before being commissioned in the US Air Force in 1998. She served as a dentist in the Air Force before retiring to the reserves as a Lieutenant Colonel. Linda also was a director and dentist for a children's dental clinic. She spent several years as a dentist for the State of Connecticut Prison system to the day of her diagnosis. Linda had participated in numerous humanitarian trips to Central and South America as well as in some States in the southwestern US. providing much needed dental care to thousands of children. She worshiped at Saint Matthew Lutheran Church and was a member of Prince Thomas of Savoy Ladies Auxiliary. Besides her husband of 26 years Kevin, she leaves her son Justin Reichler of Avon and her daughter Nicole Kenyon and her husband Alex of Denver, CO; and a grandson Brody Joseph Kenyon. Her family will receive friends Friday, September 2, 2016, from 5-8 pm at the Carmon Funeral Home & Family Center, 301 Country Club Road, Avon. Family and friends are invited to a Memorial Service Saturday, September 3, 2016, 11am at Saint Matthew Lutheran Church, 224 Lovely Street, Avon. Pastor Daniel Hille will officiate. Military honors will follow the service. Contributions may be made in memory of Linda M. Reichler to either (1) the Fisher House Boston Att: Jen DeLuca PO box 230 South Walpole, MA 02071 or (2) Dana Farber Cancer Institute, 450 Brookline Ave., Boston, MA 02215 or (3) Lea's Foundation For Leukemia Research, Inc. PO box 2061 Hartford, CT 06145. John was born on July 4, 1917 and died April 16, 2016 just shy of his 100th birthday. He joined the Rotary Club of Kittery on August 14, 2012. He had been a Rotarian in Georgia for over 60 years prior to moving to Kittery. He always had a smile on his face and a welcoming handshake. He was the club’s official greeter. He loved the club’s monthly student of the month recognition and gave to each student of the month a gold dollar and told them not to spend it as it was for good luck! You would see John at our events around the town and he worked at the reception desk every other month when it was the Rotary club’s turn to host the Red Cross Blood Drive at the Lions Club. John will be greatly missed by his daughters, grandchildren, great-grandchildren and his Rotary family! KITTERY, Maine - John R. Nooney, born on July 4, 1917, passed peacefully to sweet nothingness on Saturday, April 16, 2016, at his daughter's home in Kittery, Maine. He was 98. He was born in Indianapolis and raised in Anderson, Indiana the son of Raymond and Eleanor Nooney. After graduating from the General Motors Institute he went to work for General Motors overseas during World War II. He was tasked with the setup and operation of a mobile engine repair line to refurbish war worn motors. His operation started in 1940 in Cairo, Egypt and moved to support both the European and Pacific wars. He was in the Philippines in 1945 when the war ended. After the war he started Portasoft Water Co., a successful water conditioning business in New Jersey which he ran with his partner for forty years. He spent his retirement years in Savannah, Georgia and Luneberg, Germany with his beloved second wife Brigitta. He moved to Kittery, Maine, to live with his daughter in 2011 while he cared for his wife who had suffered a stroke. After her death he worked hard to remake his life in Kittery, a place he grew to love. He was a regular at the Sunrise Grill, Lil's Cafe, Beach Pea, Prescott Park and the Kittery Recreation Center always charming people with his twinkling blue eyes and generous smile. He loved golf, reading, flowers, and most of all people. He is survived by two daughters; Jacquelyn Nooney of Kittery, Maine, and Jill Nooney of Lee, N.H., and three grandchildren Hannah Nooney, Spencer Fransway, and Dylan Fransway and two great grandchildren. He was predeceased by his first wife Dinanda H. Nooney, his second wife Brigitta VB Nooney , his daughter Morella Nooney and his son Roland Turney. SERVICES: A memorial gathering will be held at the Kittery Community Center on Sunday, May 1, 2016, at 2 p.m. Donations in his memory can be made to the NH Charitable Foundation, Morella Nooney Fund. www.nhcf.org. KITTERY POINT, Maine — Carole A. (Kornechuk) (Ross) Helliwell, 74, went to heaven on Thursday August 9, 2012, after a courageous battle with cancer. Born in Chelsea, Mass., she was the daughter of Grace (Werner) and Paul A. Kornechuk. Mrs. Helliwell was a graduate of Chelsea High School, Class of 1956. She was a communicant of St. Luke's Episcopal Church in Chelsea, teaching Sunday School. After graduation, Carole began her first of many careers, as a medical transcriptionist. In preparation, Carole took courses in anatomy and physiology while simultaneously being mentored by her family physician, the late Harold Miller, MD. Carole continued to train while working as Assistant to the Educational Director at Chelsea Memorial Hospital's School of Nursing. Her diligence was rewarded when she was hired on the spot after interviewing with doctors Cave and Rowe, orthopedic surgeons at Massachusetts General Hospital. Always yearning for more education, and realizing that knowledge is power, Carole furthered her career by taking certification courses at Harvard University extension program. In later years she went to work at Exeter Clinic, Portsmouth Hospital and for Dr. Gerald Shattuck. Carole moved to Portsmouth, New Hampshire, in 1960 and married George S. Ross, Sr. Of that union were born three children, George Jr., Catherine and Heather, Carole's most precious gifts. Carole continued to further her education through continuing education courses and, seeking a new challenge, she entered into the legal field, employed as legal secretary to the late Honorable Wm. F. Harrington of Portsmouth, N.H. After some time, change was in the air again and Carole went to work for Nike, Inc., in the position of Personnel Administrator. In the early 1980s, Carole made the decision to fulfill her dream of turning her hobby into a business. The career for which she was most proud, owning and operating her own company, Artistic Cake Designs. She enjoyed working with both local and out-of-state clientele, assisting each bride as they selected custom, unique and delicious cakes for their special day. From marketing, to sales, to bookkeeping, production and delivery, Carole worked six days a week to ensure the success of her business. She did this while raising a son and two daughters as the family's sole supporter. She ran her business successfully until her retirement in 1995. In 1995, Carole married Captain Sidney Helliwell and left New Hampshire for Kittery Point, Maine. Sid had been a very close friend of the family for many years, having met Carole in the 1970s, when together they worked to start Anglican missions in the Northeast. The two were part of a small group who worked tirelessly, for years, to bring the Anglican Church to this area. Carole's faith has always been a big part of her life. She served on the Vestry and was both Jr. and Sr. Warden for her local church. She also served on the Standing Committee for the Diocese and the Executive Council, at the national level, for the Traditional Anglican Church in America. Carole believed that helping people was of the utmost importance. In addition to her extensive involvement with the church, Carole chaired the Building Fund for the Kittery Historical and Naval Museum's Andrews-Mitchell Garrison Project. With her leadership, the fund-raising goal was exceeded. She also served with Rotary of Kittery and, following the death of Sid, became a hospice volunteer with Hospice of York. Carole believed very strongly in the people and the mission of York Hospital. In recent years she donated funds for a physicians dictation room, a rooftop perennial garden and a room in honor of Sid. Carole's family would like to recognize the wonderful care provided to their mother by the compassionate and caring nurses and staff in the days leading up to her passing. Specifically, Drs. Newsome and Crispo, as well as Zalana, Lisa, Joanne and Ellie. Carole loved her family and enjoyed every moment spent with them. She was a very loving and caring woman who also enjoyed gardening, playing cards, swimming, kayaking and watching Fox News, Wheel of Fortune, Jeopardy and the Patriots. Carole is survived by her three children, George S. Ross Jr., proprietor of Mirage Irrigation and Landscaping, and his wife Beverlee of Derry, N.H., Catherine G. Ross of Kittery, Maine, and Heather E. Ross of Rye, N.H.; two grandchildren, George S. Ross III of Raymond, N.H., and Bradd C. Ross of Derry, N.H.; her sister, Grace Pizzano and husband Richard of Rye, N.H., and Woburn, Mass. ; and brothers, Paul A. Kornechuk and wife Tandy of Dodge City, Kansas, Peter Kornechuk of Rye, N.H., Mark Kornechuk of Virginia, and David Kornechuk of Rye, N.H.; and her cat, Princess. She was predeceased by her parents, Grace and Paul Kornechuk, and her husband, Captain Sidney Helliwell. SERVICES: Calling hours will be held on Monday, August 13, 2012, from 2 to 4 and 6 to 8 p.m. at the J. Verne Wood Funeral Home-Buckminster Chapel, 84 Broad Street, Portsmouth, N.H.
A Mass of Christian burial will be held Tuesday, August 14, 2012, at 11a.m. at Trinity Anglican Church, Rochester Hill Road, Route 108, Rochester, N.H. Family flowers only, please. In lieu of flowers, donations may be made in Carole's honor, to York Hospital, St. Jude Children's Hospital or Hospice of York. KENNEBUNK, Maine — John R. Kennedy, 87, of Kennebunk died Tuesday, Feb. 28, 2012, after a period of declining health. 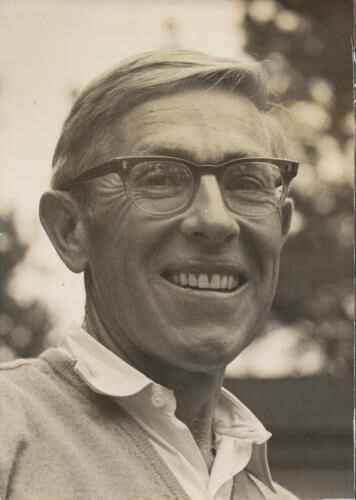 He was born May 5, 1924, in Portland, the son of James Calvin and Janet McNeil Kennedy. John graduated from Portland High School in 1942 and was a veteran of World War II, proudly serving his country in Italy. In December 1944, he married Louise A. Jensen of South Portland. John was service manager for more than 20 years at Hillman Auto Electric in Portland. In the early 1950s, he took an active interest in the Pride's Corner PTA, served as an alderman on the Westbrook City Council and was president of the City Republican Committee. He was an active member of the Pride's Corner Congregational Church and was influential in the construction of a new church on Pride Street. His interest in local government inspired him to become certified in municipal administration. He served as town manager in Tremont, Madison and Kittery. He prided himself for trying to "look out for the taxpayer." 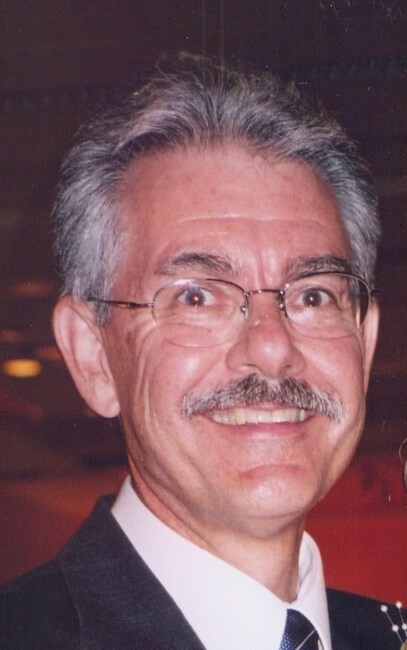 Retiring in 1984, he became certified as a real estate appraiser and operated his own appraisal firm until 1998. After Louise's death in 1979, he married Mary Ann Danzell. They resided in Eliot, moving to Kennebunk in 2004. John was a man of great faith and was an active member of the Eliot and Wells Congregational churches. He especially enjoyed his time at the camp he and his family built on Raymond Pond in 1963 and his winters in Hilton Head. His other interests included traveling, gardening, finance, classical music, the Red Sox and, most of all, family gatherings. He was a devoted husband, father and grandfather. Besides Louise, he was predeceased by his parents, brothers James and William, and sister Ellen. He is survived by Mary Ann; his sister, Marian Rich (Kenneth); his son, John Jr. (Meg); daughter Kathryn Surgi (Rand); stepchildren Deborah Garabedian (Edward), William Danzell (Louisa) and Peter Danzell; grandchildren John R. Kennedy III (Kim), Brian Kennedy (Jessica), Leslie and Megan Danzell, Sarah Bo Morel (Brian), Lindsay Street (Ryan) and Logan, Jamie, Will, Luke and Zack Danzell; two great-grandchildren and several nieces and nephews. SERVICES: A celebration of John's life will be held Tuesday, March 6, at 11 a.m. at the Congregational Church of Wells, 1695 Post Road (Route 1), Wells, Maine. In lieu of flowers, donations may be made to the Steeple Fund, Congregational Church of Wells or the Salvation Army, Portland. Care for the Kennedy family has been entrusted to the J.S. Pelkey Funeral Home. Online condolences may be made by visiting www.jspelkeyfuneralhome.com. KITTERY POINT, Maine — Thane Pearson, 53, of Kittery Point, died Saturday, Feb. 26, 2012, at York Hospital. Thane was born Oct. 21, 1958, in Lewiston, Maine, the son of the late Rodney E. and Thelma I. (Norris) Pearson. He grew up in Canton, Maine, spending summers at Canton Lake with family and friends. He attended Canton Elementary School and graduated from Dirigo High School with the Class of 1977, where he was a proud "Cougar" on the baseball and basketball teams. The Balsams of Dixville Notch, N.H was his most memorable high school summer job, where he enjoyed many outdoor activities and made many lifelong friends. He graduated from the Wentworth Institute of Technology with an associate's degree in architectural engineering in June 1979. He was also a graduate of the University of Oklahoma with a bachelor's degree in environmental design in December 1980. He had been a resident of Kittery Point for 26 years with his beloved wife, Holly Bowdoin Pearson, and their Newfoundland dogs. He was a certified residential home design professional and principal owner of Thane Pearson Design, which he founded in 1990. His office was located in York, Maine. Thane designed many homes in the Boston-to-Portland corridor and into the Lakes regions of Maine and New Hampshire. He was a professional member of the American Institute of Building Design since 1994 and was president of the AIBD Northeast Chapter. He was LEED AP certified by the Green Building Certification Institute in May 2009. He also was certified by the National Council of Building Designers Certification in November 2005. Thane is survived by his wife of 21 years, Holly, of Kittery Point, Maine; his sisters, Pamela E. (Pearson) Akers, of Casco, Maine, Rhonda A. (Pearson) Holcomb of Naples, Maine, and Lori L. (Pearson) Cayer of Rumford, Maine; brother Stephen R. Pearson of Auburn, Maine; and many nieces, nephews and cousins. SERVICES: A memorial service for Thane will be held at 1 p.m. Saturday, March 3, at the First Parish Congregational Church of York, 180 York St., York, Maine. In lieu of flowers, the Pearson family suggests memorials be made in Thane's memory to the Rangeley Health Center at www.rangeley health.org, or Camp Sunshine at www.campsunshine.org. Care for the Pearson family has been entrusted to the J.S. Pelkey Funeral Home of Kittery. KITTERY, Maine — Meredith "Dee" Bickmore, 68, of Cedar Drive in Kittery, died Saturday, Sept. 3, 2011, at Brigham and Women's Hospital in Boston. Born in Dover-Foxcroft, Maine, on Dec. 30, 1942, she was a daughter of Willis and Clara (Hill) Thomas. She attended Foxcroft Academy, graduating with the Class of 1961. She furthered her education at Husson College. She wed Frank Bickmore in 1963, and together they moved to York Harbor for a time before settling in Kittery, where she would raise a family and be an active part of her community. While her children were young, Dee was an active mother, serving as a Girl Scout leader, music booster and in the PTA. Dee worked for a time at York Hospital as the "TV Lady." While working at the hospital, she found her life's calling as a volunteer for the fairly new Hospice of York. After just a short time volunteering, a spark was ignited inside her and it was evident to everyone that she was a hospice pro. She took over as director 26 years ago. Dee led the program to grow into one of the most respected all-volunteer hospice programs in the nation. 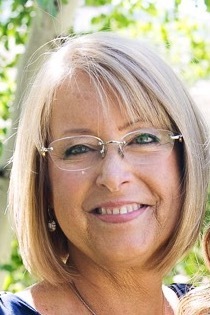 She shared her love of hospice with many volunteers and patients throughout the years, locally and as a member, board member and tireless supporter of the Maine Hospice Council, serving for numerous years as the chairwoman of the Maine Hospice Council Retreat team. As a Paul Harris Fellow of the Kittery Rotary Club, Dee served her community by providing free meals to the community, working many hours at the monthly Rotary blood drives, and supporting the many club activities for many years. Most recently she served as the club's youth protection officer. Dee valued the many friendships she fostered throughout the years and set a wonderful example to all of just how to be a great friend; no example was clearer than the love she shared with her family. She truly loved being a mom, but adored being "Mimi" to her grandchildren. 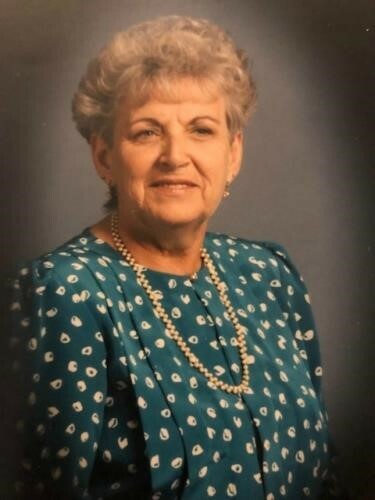 She gloried in gathering folks together and sitting on the front porch at her camp on First Roach Pond, spending time with her dear friends every month for girls' game night or just hopping in the car for an adventure. She is survived by her girls, Juli, Nikki and Jenny, and their spouses, David, Melissa and Doug, along with her true joys, her grandchildren, Allie, Jackson, Haven, Drew, Abigail and Bella. A celebration of Dee's life will be held at 11 a.m. Thursday, Sept. 8, in the South Church in Portsmouth, N.H., with a time of refreshment to follow in the church hall. In lieu of flowers, donations may be made in her memory to Hospice of York, 16 Hospital Drive, York, ME 03909. Care for Dee and her family has been entrusted to the J.S. Pelkey Funeral Home. Patrick L. Donahue, 79, of Scarborough died at Maine Medical Center in Portland on Wednesday, Oct. 28, 2009, with his beloved wife Millicent and loving family by his bedside. Born on May 26, 1930, in Fairfield, the son of the late Joseph and Blanche (Thibodeau) Donahue, he earned his bachelor's and master's degree in education from Boston University. He served in the United States Army as an educational consultant and was stationed in Augsburgh, Germany during the Korean War. He married the former Millicent L. Heath on June 21, 1952, at the Immaculate Heart of Mary Church in Fairfield. After returning from Germany, the couple moved to Cohasset, Mass. where he began his teaching and coaching career. He moved into education administration, serving as a principal and superintendent in Woodstock, Vt. The couple eventually settled in Maine where he continued his long and distinguished career as a superintendent of schools in several Maine school districts. Throughout his 38 year career in education, he was the recipient of numerous awards and recognized by the Maine State Governor and House of Representatives for his exemplary dedication, service and contribution to public education. He was an outstanding athlete and played football for Boston University, earning All Eastern and All New England honors. He was drafted by the Detroit Lions, but a knee injury sidelined his professional athletic career. He continued to enjoy sports throughout his life and was an active athlete, hunter and fly fisherman. A devout Catholic and deeply spiritual man, he enjoyed spending time with his family at their lake house in Belgrade, fishing, reading, gardening, walking his dog, spending time in the woods, and working on projects around his home. In addition to his wife, Millicent; he is survived by his two sons and two daughters-in-law, Patrick and Claire Donahue of Scarborough and John and Karen Donahue of Cape Elizabeth; his son Andrew Donahue of Wilmington, Vt., his daughter and son-in-law Sue and Paul Strasenburgh of Westbrook and his daughter and her partner. Margaret Donahue and Lisa Lorimer of Brattleboro, Vt.; seven grandchildren, James Donahue, Ali Donahue, Gabe Donahue, Kylen Donovan, Tyler Strasenburgh, Eric Strasenburgh and John Glass and his beloved dog, Jean Claude. A Mass of Christian Burial was held at Immaculate Heart of Mary Church, Fairfield. Condolences may be expressed at www.lawrybrothers.com. Arrangements are by Lawry Brothers Funeral Home and Cremation Services, Fairfield (800) 660-2111. Memorials in his name may be made to: VAVS 1 VA Center Augusta, ME 04330, Attention: VAVS. STRATHAM — Raymond David Hager Jr., LCDR Ret., 71, of Stratham died Friday, Oct. 17, 2008, at Portsmouth Regional Hospital after a long, courageous battle with cancer. Mr. Hager was born April 11, 1937, in Long Beach, Calif., the son of the late Raymond and Sylvia (Durliat) Hager. Soon after, his family moved to Niagara Falls, N.Y., where he was raised and graduated from LaSalle High School. He shared 49 years of marriage with his wife, Anita (Valencia) Hager. In addition to his wife, survivors include a daughter, Nikki Lynn DeHeart and her husband William of Kauai-Hawaii; two sons, David Hager and his wife Tracy of Newfields and Dean Hager and his wife Karen of Hampton; two sisters, Jeanne Stricker and her husband Ed of Niagara Falls and Elaine Sherwood and her husband Jack of Jamestown, N.Y.; five grandchildren, Katie Zajechowski of Naples Fla., Gabrielle DeHeart of Kauai-Hawaii, and Christopher, Aaron and Austin Hager of Newfields; a great-grandson, Temana Hauata of Naples; many nieces and nephews; and his dog, Topi. WE REMEMBER: Dave attended the United States Naval Academy and graduated in 1959. He later went on to earn three master's degrees from the Naval Post Graduate School, Golden Gate University and Bentley College. He served 20 years with the U.S. Navy as a submarine officer before retiring as a lieutenant commander in 1979. He later worked as a certified financial planner serving the Seacoast area. He was a devoted family man who always put his family first. He enjoyed listening to music as well as playing the clarinet, piano and mandolin. He was a boat builder and avid sailor, a member of the Portsmouth Men's Choir, Kittery Rotary Club and Eliot Lions Club. SERVICES: Visiting hours will be from 1 to 3 p.m. Tuesday, Oct. 21, in the Remick & Gendron Funeral Home-Crematory, 811 Lafayette Road, Hampton. A reception will follow at the American Legion Post 35, 69 High Street, Hampton. Relatives and friends are respectfully invited. In lieu of flowers, donations may be made to Dana-Farber Cancer Institute, 44 Binney St., Boston, MA 02115. KITTERY, Maine — Harrison Edward Lemont, 84, died Friday, Aug. 10, 2007, at York Hospital following a period of failing health. Born Oct. 10, 1922, in Norwich, Conn., he was a son of Walter P. and Regina L. (Lambert) Lemont. He graduated from Robert W. Traip Academy, Class of 1942, and received a college degree in accounting. After high school, he served his country as a member of the U.S. Army Air Corps. As a radar operator, he was often a part of the advance team into battle. He is survived by his loving wife, Arline Lemont of Kittery; sons Kenneth and his wife Gail Lemont of Kittery, and Andrew Lemont of Kittery Point, grandsons, Keith and his fiancée Karissa Raish of Wells, Eric and his fiancée Meredith Trigge of Kittery; a sister, Virginia Richardson of California; and a brother, Mason M and his wife Elsa Lemont of Ragged Mountain, N.H.
WE REMEMBER: He entered the Philippines the day before Gen. MacArthur and ahead of his outfit onto Okinawa. Harry was the author of "Never Alone, Until Admiral Halsey Left With Everyone Else." Published in 2003, it is a wonderful book depicting his life as a member of the Army Air Corp during World War II. In 1949, he married his loving wife of 58 years, Arline Gardner (Mehring) Lemont, and together they settled in Kittery and raised their family. He was a member of St. Mark's United Methodist Church for 58 years, and a member of Naval Lodge No. 184 AF & AM in Kittery, being raised to the sublime degree of a Master Mason in 1946. An active member of the community, he served for more than 15 years on the Zoning Board of Appeals and for more than 25 years as a member of the board of directors for Rice Public Library. He was a member of the Kittery Historical and Naval Society, a past member of the K-CAP board of directors and, in 1987, was a charter member of the Kittery Rotary Club, active in the club as a past president in 1991-1992, club secretary, was recognized as Rotarian of the Year in 2002, a multiple Paul Harris Fellow, and a continuing supporter of the Rotary scholarship program through yearly calendar sales for the club. He was also a founding member of the Kittery Chamber of Commerce. He will be missed by so many who knew him. KITTERY POINT, Maine -- Robert Earl Emery, 79, of Haley Road, died on Tuesday, Nov. 7, 2006, at Stephens Memorial Hospital in Norway, Maine. Robert was the son of Earl E. and Doris (Phillips) Emery. Robert graduated from R.W. Traip Academy in 1945 and immediately was drafted into the U.S. Army. Upon leaving the Army, Robert attended and graduated from Tilton Academy in Tilton, N.H.
Robert played baseball, football and basketball in school, but his favorite was baseball. After attending the University of Maine, he became a pitcher in the Boston Braves farm system. After too many long bus rides and eating too many hot dogs, he opted for a change of career and graduated from the Fenway School of Optics in Boston. He worked as an optician at the Portsmouth Naval Shipyard for 32 years, retiring in 1982.He was also owner/operator of Kittery Opticians for many years. He is survived by his wife of 51 years, Jean (Chick) Emery; son Thomas Emery of Kittery Point; daughter Deborah and her husband, William Higgins, of Kittery; grandsons Joshua Higgins of Hancock and Ryan Higgins of Kittery; sisters Alice Emery and Mary Seward, both of Kittery Point; and numerous loving nieces and nephews. He was predeceased by his brothers, John R. and Byron E. Emery. WE REMEMBER: Robert served as a trustee and deacon at the First Christian Church of Kittery Point and was a member of the Kittery Naval Masonic Lodge 184, Scottish Rite and KORA Temple Shriners of Lewiston. He served as the chairman of the Shrine Ambassadors for many years and was currently chairman emeritus. Robert was a member of the York County Shrine Club, past president of the Scottish Rite Pioneer Club and recently joined the Renegades. Robert was also a member of the Kittery Rotary Club. ELIOT, Maine -- Delmar Dean Blickensderfer, 64, of Hill Drive in Eliot, died on Tuesday, Sept. 26, 2006, following a long period of failing health. He was born on July 6, 1942, in Decatur, Ill., a son of the late George P. and Ada (Speer) Blickensderfer. He attended schools in Cerro Gordo, Ill., and graduated from Cerro Gordo High School. Following high school, Del served his country as a member of the U.S. Air Force from 1961 to 1965. Active in the business community of Eliot, Del owned and operated Del's Service Station for more than 35 years. He is survived by his loving wife, Jean V. (Shinner-Davis) Blickensderfer of Eliot; his son, Daniel Blickensderfer of South Berwick; his daughters, Kristen A. and her husband, Neal Donahue, and their son, Finley of Belmont, Mass., and Thaedra and her husband, Mark Thompson, and their son, Jonah of Albuquerque, N.M., and Sarah Davis and her fiancé, Bob, of Dover, N.H.; his brothers, George and his wife, Joanne Blickensderfer, of Iliopoulos, Ill., Thomas and his wife, Patty, of Havelock N.C., and Jeffrey Blickensderfer and his companion, Betty, of Oakley Ill.; and his sister, Peggy Sue and her husband, Jim Sabin, of Mt. Vernon, Iowa. He was predeceased by his brothers, Timothy and Neil. WE REMEMBER: He operated two full-service gas, repair and towing stations, one on Route 236 and one in downtown Eliot. He eventually sold the Route 236 station and focused his efforts on the downtown station. Many of the communities' youths began their work career with Del, and it was his hard-working example that gave so many an unbeatable work ethic. Del was a strong community supporter, always willing to help any community program, whether it was the D.A.R.E. Program, sports, minstrel shows or a community parade. He participated in the Kittery Rotary Club, where he was a Paul Harris Fellow. Del could always be counted on for his support. SERVICES: A time of sharing and remembrance with a light luncheon will be held with Del's family from — to 4 p.m. on Sunday at the J.S. Pelkey Funeral Home, 125 Old Post Road, Kittery, Maine. Friends may join them. In lieu of flowers, donations may be made to the Lupus Foundation of America at www.lupus.org, or may be mailed to 2000 L Street, N.W. Washington, D.C. 20036. Arrangements are entrusted to the J.S. Pelkey Funeral Home of Kittery. YORK, Maine - Pauline Ruth Ramsdell, 63, of Nonantum Trail, died Monday, March 18, 2002, at Maine Medical Center in Portland. She was born April 25, 1938, in Rochester, N.H., the daughter of Frank E. and Rose (Patenaude) Glidden. She worked side by side with her husband, Earl, establishing the Earl Ramsdell Stone and Gravel Company in York. She was a hard worker and often times was seen in one truck with her young sons while Earl was loading gravel into another truck. She enjoyed knitting and doing crafts. She was a loving and devoted grandmother to her three grandchildren. She enjoyed traveling and was a member of the Kittery Rotary Club. She was predeceased by her husband, Earl E. Ramsdell, who died June 14, 1995, and by her parents. Survivors include two sons, David E. Ramsdell of Cape Neddick and Ronald and his wife, Linda Ramsdell of Cape Neddick; two brothers, Roland Glidden of El Paso, Texas, and George Glidden of Farmington, N.H.; two sisters, Joyce King of Rochester, N.H., and Jean Gains of Indianapolis, Ind. ; a sister-in-law, Linda Stabrow of Cape Neddick; three grandchildren; many nieces and nephews; and her mixed-breed collie and black Labrador dog, Jimmy. Funeral services will be held at 11 a.m. on Friday at the Lucas and Eaton Funeral Home, 91 Long Sands Road, York. Interment will be in First Parish Cemetery, York. Visiting hours will be from 6 to 8 p.m. on Thursday at the funeral home. Flowers are welcome or memorial donations may be made to the American Cancer Society, N.E. Division Inc., 1 Main St., Suite 300, Topsham, ME 04086.